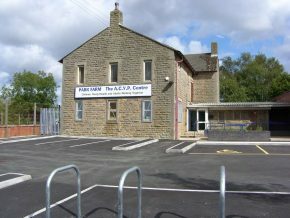 Park Farm ACYP Centre is designed for all groups. It is a multi-purpose facility that seeks to create and strengthen social links through shared cultural and recreational pursuits. We aim to provide our local community with opportunities for fitness, fun, education and community involvement. Park Farm is the the original name for the old farmhouse which forms the main part of the centre; ACYP stands for Adults, Children and Young People, to show our commitment to every part of our community. The centre has been leased from St. Helens Council by local people who are all volunteers and have become a not for profit registered charity. We want the centre to be the hub of the community working to meet the residents ever changing needs, and to provide a safe, nurturing place for children and young people.